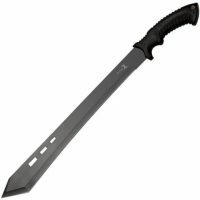 1 What is an assisted opening knife? 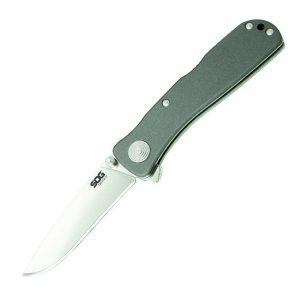 What is an assisted opening knife? 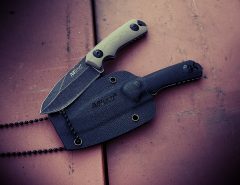 One of the first things you may ask yourself is why you want an assisted opening knife. This will be the most important question that you will ask through the whole buying process, as having a knife for show doesn’t need to have everything that a daily use knife will need. 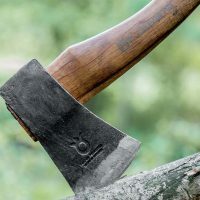 If you are searching for something for self-defense, then you will know that you need a practical knife that can take some abuse instead of a pretty blade that is more for showing off than actually doing something. The same will go for a knife that has an assisted opening mechanism. 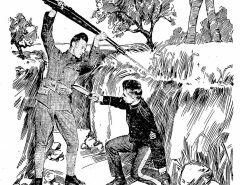 Other options for self defense are a karambit or a tanto knife. I wouldn’t use an assisted opening knife as my primary survival knife though. The reason is that the more complicated a knife or any other product is, the more likely it is to fail. The same goes for folding knives or pocket knives. There are a few options when it comes to an assisted opening knife. They all will require you to open the knife to a certain point before the opening mechanism will do the rest of the work for you. This works by using a spring to open the blade, as opposed to gravity which would have it classified as a switchblade which is illegal in a lot of places. Many blades will have a safety lock on them, this isn’t always the case so be sure to check it out so that there isn’t any issues with an accident with the new knife. The locking mechanism is just about the most important feature on a spring assisted knives. You can have a great drop point or spear point but if that locking mechanism fails you’re in trouble. 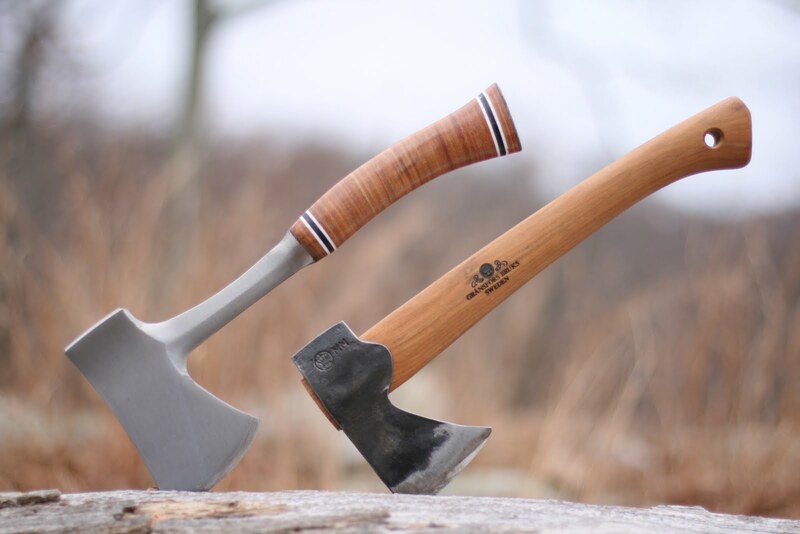 You will need to check out the durability to ensure that the blade is what you want. This is normally the one thing that you will hear a knife owner complain about with knives that aren’t quality. Knife owners are quite vocal about if the blade doesn’t live up to the hype. 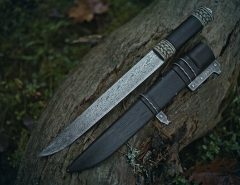 Check out reviews by checking forums, talking to other knife owners and even checking how long the knife has been in production. Just like with other knives, you want to figure out what type of edge you want on your blade, all which will have a certain purpose and they all have pros and cons. A plain edge is great for smooth cuts and slicing. These are great for self defense, and all purpose knives that you don’t want or need the knife to grab anything, but just want it to go through easily. It’s easy to maintain a sharp edge for an assisted opening knife even out in the field because the blades are usually small so you only need a small sharpener to keep your blade razor sharp. 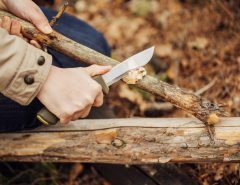 Check out my guide to the best pocket knife sharpener. A combo edge is often the best. 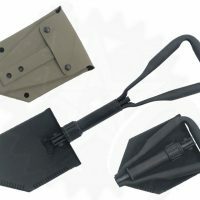 It lets you use a plain edge or serrated edge depending on your needs. 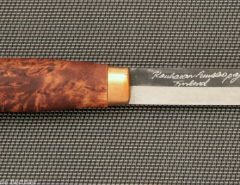 This is a jack of all trades type of knives. A serrated edge is great for sawing through things when it needs to shred and grip. This is not the type of edge you want for a self-defense knife. You will also need to look at the size of the blade. 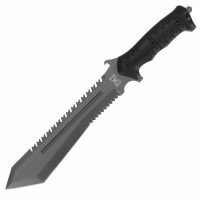 A normal assisted opening blade will be around 3 inches. 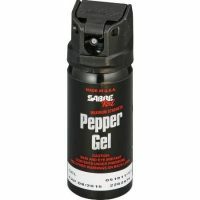 It is small enough to be carried around and light enough to open easily, but heavy duty to deal with some abuse. Assisted open knives are quite fast, if not faster in the hands of an experienced blade user, to be opened like an automatic open knife, but completely legal to a broader market. This is one of the main reasons that it is liked so much as it is good at what it does while keeping accessible, legal and compact. Automatic knives such as a butterfly knife or switchblade knives are more likely to be illegal. 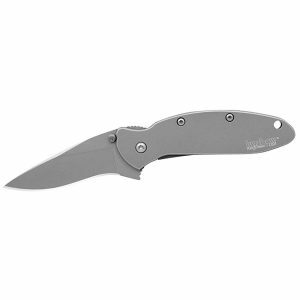 If you have been looking for an assisted opening knife, then the Scallion by Kershaw is one of the best types in this category. It has a 2.4-inch blade that will deploy instantly through the flipper enhanced speed safe torsion bar. 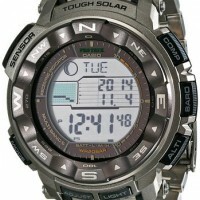 Although it is an older model design, it is still quite popular today. 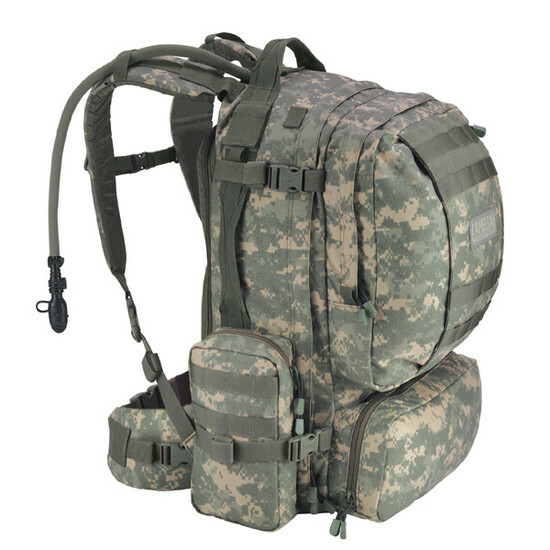 There are new productions of this particular model that have a frame lock which gives you better reliability. 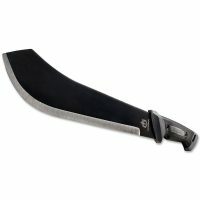 If you have been searching for a bit bigger blade that has Speed Safe on it, then you need this blade. Everything about this knife will really maximize the overall ability to really perform needed cutting tasks quite easily and much more safely. It also has a modified blade that has a huge belly that helps it cut more like a larger knife. 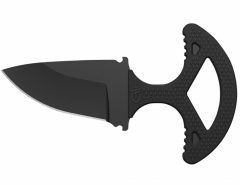 The take on an assisted opening blade by Benchmade has added energy storage within the lock system. Once you have opened the blade with the thumb stud flick, you will notice that there is not any to very little blade play. The blade on this Mini Barrage is quite sharp right out of the box. It has a thin grind that keeps it pretty sturdy simply because its made from surgical stainless steel. This unique blade from CRKT is a really interesting assisted opening blade system that has a safety lock as part of the thumb wheel in the overall design. The Argus opened will let you rotate the thumbwheel naturally and then the safety will be disengaged. Using this safety will keep you from accidentally opening it while it is in your pocket which could cause a nasty wound or some serious issues for you. If you have been looking for a classy yet clean looking assisted open knife on the market right now, then you need the Twitch II by SOG. This has a thin blade that has a full flat grind. 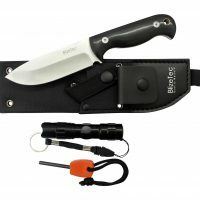 The unique flipper will allow you to open it with just one hand by using the unique assisted technology for SOG. It also has a special guard to protect your hands so you don’t worry about slicing your self when you are using it. When you are out to purchase an assisted opening knife, it is just like any other type of knife. It is all about your preference, what you want it for, and ultimately your overall budget. 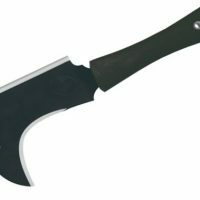 Before you purchase the knife of your choice, be sure that it is legal in your city or state, that way you don’t get yourself into a heap of trouble.